Melbourne Shoe Store shows devotion to soles..
We have to admit that we love it when we see a company that has used the word ‘sole’ as a play on words and in a clever way and the Australian fashion set is onto it in a big way. 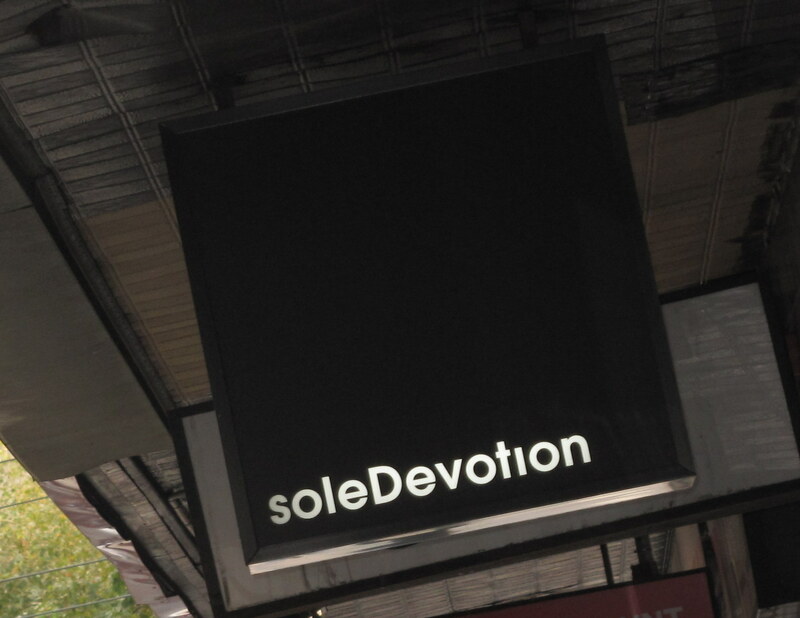 Whilst out looking for a new pair of Louboutins’ in Melbourne last week we came across this great shoe store (sorry girls but they stock a great shoe range for men and that is actually what caught my eye) called Sole Devotion. ‘ We want to excite people about footwear. Sole Devotion seeks to offer you something special – beautifully designed objects that we hope will inspire you to look at shoes in a new and exciting light’. We love shoes so any reason to look and buy is always a good excuse! It helps that across the road you can pick up some delicious brown rice sushi to keep you going on your shopping crusade! We love presents – especially when they are all about shoes! Recovering Shoes? Sounds like they are going to shoe rehab..